I have a secret. 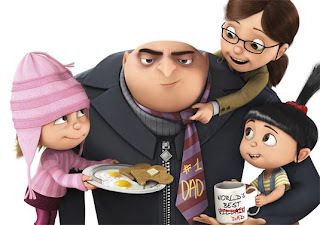 I did not watch the movie Despicable Me when it was first released thinking that it's just another lame movie for small children. Yeah, that was the me trying to act macho, cool and all mature by branding the movie as a small kid movie just from the trailer. However, thanks to 2 of my very insistent friends, I had the chance to laugh through the movie a few days ago and to be honest, I wouldn't mind watching it again just to see the antics of the minions and the three girls. Hope you had fun laughing cause I did. Now, to steal the moon!